I'd love to connect on Twitter. Follow me at @PeakofTresChic. Follow my photos on Instagram at, you guessed it, @PeakofTresChic. A new coffee table book! Can't wait to look through each page. I sent out my Valentine's Dinner Party invites! 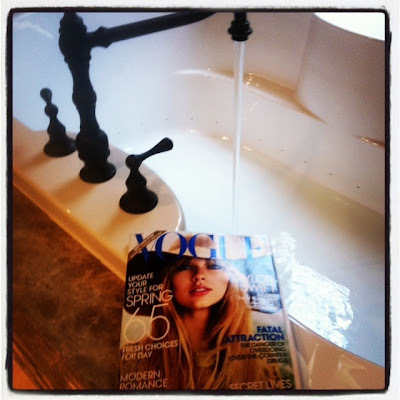 Enjoyed an afternoon of R&R with Vogue and a bubble bath. I hope you are enjoying the Superbowl.... I can't wait to see Madonna's performance! Those invites are soo cute and I really love your tub's faucet! I'm working on my top knot bun too. Glad to see you had a nice weekend girl! Good work on that top-knot bun! Those invites are so cute! Looks like you had a fabulous weekend! what a great weekend! Your bun looks adore- I can't do that for the life of me! And your Vday party is going to be perfect- love the invites! What a great idea! An all girls Valentine's party is a really sweet idea, and your bun turned out very pretty! 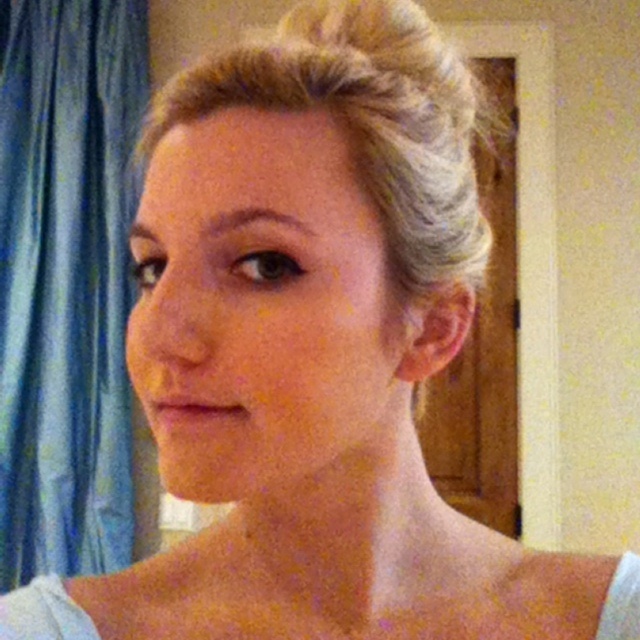 Love the bun! 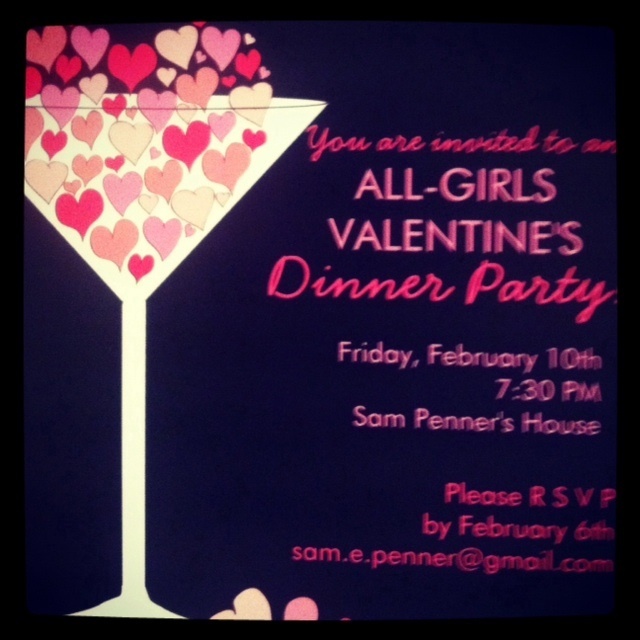 The Galentine's Party is a wonderful idea - darling invitations!! Boo I missed Modanna's performance. How was it? I like your top bun. It's looking nice. fun post! love the top knot! wish I had Instagram...or else I would be following you there. bubble baths and vogue are a must! 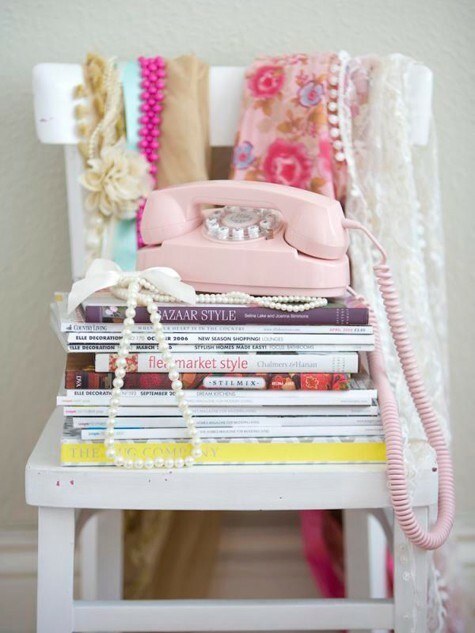 Very pretty and creative party invitations and the pink phone is so cute. omg - your invites are way cute, love them! Adorable invites! Um, and you have the greatest tub ever. It was remarkable service! Very good products!! They took care of my problem just like their own! It has been a wonderful experience for trusting Easy Baby Tote!